There’s a nice new high-value printable coupon available to save $2.00 on any ONE (1) Coppertone product (5 oz. or larger). 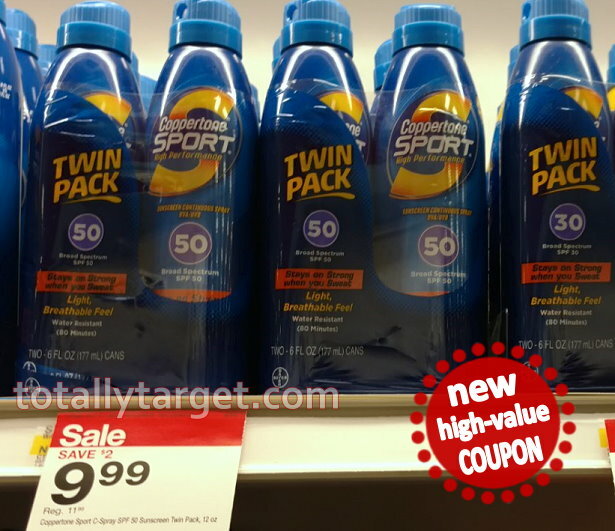 Even better, Target has the the twin packs of Coppertone Sport on sale for $9.99 (reg. $11.99) thru 7/29. Even better- there is an offer to get a $12 promo code to see Disney Pixar’s Cars 3 or any other Disney movie at Fandango theaters wyb 2 select Coppertone products 5 oz+ in one transaction thru 6/27.